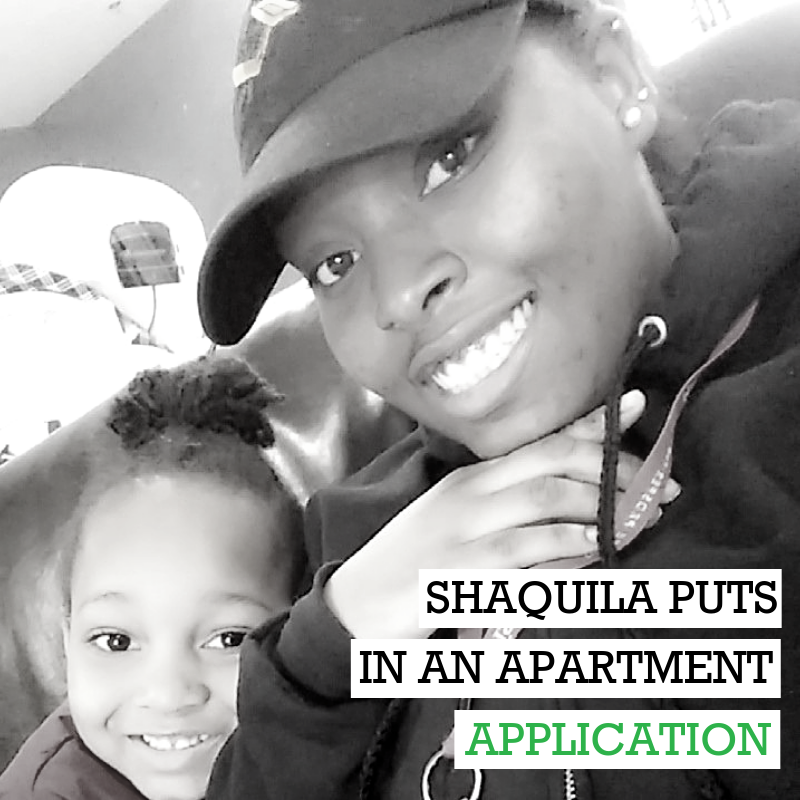 When Shaquila joined Cohort 6 in January, she and her 4-year-old son had been living with friends and family for years. “We’ve basically been homeless since he was born,” says Shaquila. Halfway through the program, she lost her place to live and found herself in a shelter, with no income but determined to graduate from the Culinary Workforce Training Program. No More Empty Pots staff reached out to community partners for support. Heartland Family Service stepped in and connected Shaquila with resources, and yesterday Shaquila put in an application for her own apartment. She says, “It’s actually just right, not too big and not too small.” Programs at Heartland Family Service and Project Everlast will help Shaquila pay her deposit and two months rent until she can get to work in May when she graduates the Culinary Workforce Training Program. Providing students with additional support and resources outside the classroom empower them to overcome roadblocks on their way to self-sufficiency. Having a stable home to live in makes space for Shaquila to pursue her dreams and provide for her family. Graduating from the Culinary Workforce Training Program is a stepping stone on a pathway towards higher wage, higher skill and higher need jobs paying a living wage so she can continue to improve her family’s quality of life.